Complex Says: The Kona Minute is a tough mule of a bike. 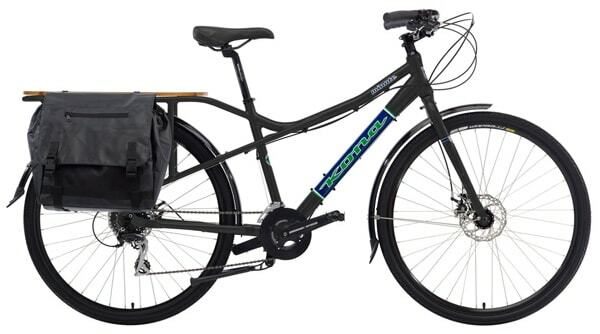 Made from 7005 series aluminum, it comes with a set of large, soft panniers. It has an Acacia, wood-covered built-in rack. And it also comes standard with quick-stopping mechanical disc brakes and an internal headset. All of this for under $1,000? Come on.